But if you’re on a tight timeline or inclined to skip the social pleasantries and dig right into the project, there are a variety of ways to expedite this step of the process in order to ensure that the project is understood and communicated efficiently and effectively—and that nothing gets in the way of a smooth project rollout. It’s no secret that the key to great results is great planning. 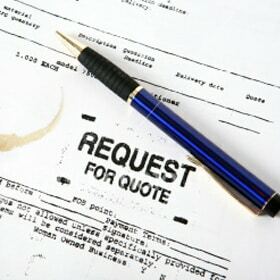 When building your RFQ if you know what information your acoustical engineers need from you in order to provide you with an accurate and speedy quote, the entire process will be able to proceed smoothly and with the utmost attention to the unique details of your project. Has a Noise Impact Assessment been completed? If a noise study is required, which type are you looking for? Are you looking for noise control recommendations? Noise contour maps? Should modelling of both dBA and dBC levels be incorporated into the scope of your project? Is this an existing, new, or expanded facility? What is its exact geographical location? Are there other facilities or potential noise sources nearby? If so, how far away are they located and in which direction? What regulations do you need to meet? 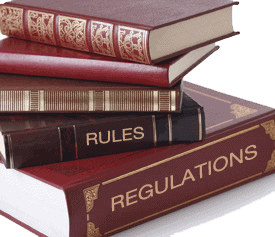 Are these internal company regulations or regulations outlined by a particular regulatory body, and if so, which one? Have there been any noise complaints? If so, include applicable details, such as location of complainant and nature of complaint. Note any additional regulations, requirements, or policies to be taken into consideration. Not all noise regulations are created equal. Some have more value than others. Receptor-based regulations (or, more specifically, resident-based regulations) are the most valuable. Since the goal of a noise regulation is to minimize noise pollution to nearby communities, it makes the most sense to set requirements for what that facility contributes to a nearby sensitive receptor, whether on public or private property. A high-quality regulation should, ideally, also take into account any pre-existing noise sources, ambient noise levels, and corrections for other nearby businesses or infrastructure. Additionally, regulations that recognize the importance of including both dBA and dBC contributions are valuable since low frequency noise is often a main driver of complaints. In comparison, fence-line-based regulations are often of minimal value to the overall goal of noise regulations. The regulations can be difficult to meet and will not necessarily protect nearby residents from noise pollution. These types of regulations leave themselves open to a variety of shortcuts and workarounds. Purchasing adjacent property would lessen the fence-line noise levels, technically, but this may lead to an unnecessarily large footprint on land that could have better uses. However, in cases where state forests are involved, or there is a specific concern about impact on local wildlife, these regulations may be useful. Other regulations can be valuable, but unclear, such as ambient noise level regulations. For example, a noise regulation may require that a new site add no more than 3 dBA to the ambient noise of an area, but may not provide direction for future site expansion and equipment changes (i.e., is the initial ambient level still relevant, or is there a new ambient level that includes the previous contribution of the site?). Also worth noting is that the whole is frequently greater than the sum of its parts—meaning that the site needs to be taken into consideration as a whole for noise control to be most effective. If noise targets specify that certain pieces of a package need to be X dBA at X’ (e.g., a cooler must be 85 dBA at 3’, or a building must meet 65 dBA at 5’) you may find that the piece of equipment can be made to meet that specification but the target still may not be met at the required distance. This is because other noise-generating sources may be excluded or overlooked in the scope, such as the engine casing or muffler shell. If each piece of a compressor package must meet a specific noise requirement, the sum of them together is likely to still exceed the requirement. The site as a whole must be addressed in order for an effective solution to be met. What are your priorities with this project? What does your timeline look like and is it flexible or rigid? Will an install supervisor and acoustical engineering crew be required on site? What are your long-term plans for this site? To avoid unforeseen costs and delays, it is important to consider including any and all relevant information regarding your company’s safety manual or contractor management manual. What are your site’s install safety requirements? What are your future plans for this site? If expansion is intended, it can be useful to note this upfront to make sure that your facility’s present and future noise levels are taken into consideration (even if plans are for the distant future), which may save considerable cost and time in the long run. Special thanks to Tyler Mose, Lindsey Sackett, and Christine Crites for their contributions to this article. Written and composed by Taija Morgan.